IBASSIN: 2017 Costa FLW Series Northern Day 1: McFarlin Leads with 19-07lbs! 2017 Costa FLW Series Northern Day 1: McFarlin Leads with 19-07lbs! 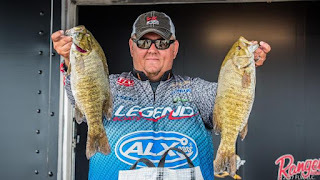 Leading day one of the Costa FLW Series event presented by Power-Pole on Lake Champlain, Shayne McFarlin of Martin, Ga., sacked up 19 pounds, 7 ounces of smallmouths to get the ball rolling. Behind him, he’s got a murderer’s row of out-of-town Champlain sticks and locals from Vermont and New York. Though the fishing was good on day one, weights fell slightly short of some pre-tournament expectations. Even so, eight of the top 10 weighed more than 18 pounds, and in true Champlain style, 10th place is only 1 1/2 pounds off the lead. 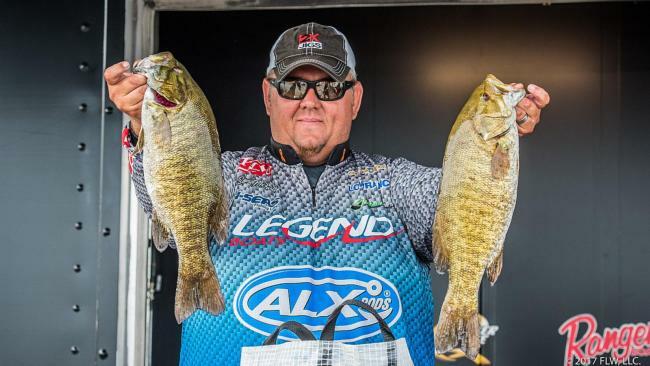 Like many others up high in the standings, McFarlin relied heavily on spawning smallmouths for his weight and fished the northern half of the lake. The forecast for Friday doesn’t look pretty. It’s supposed to blow pretty hard and storm, which could put a damper on some of the sight-fishing. Luckily for the leader he has other options. McFarlin finished 10th as a co-angler in last year’s FLW Tour event on Champlain, and he enjoyed it so much he figured he needed to return.